The Network Manager component allows you to control the state of a networked game. 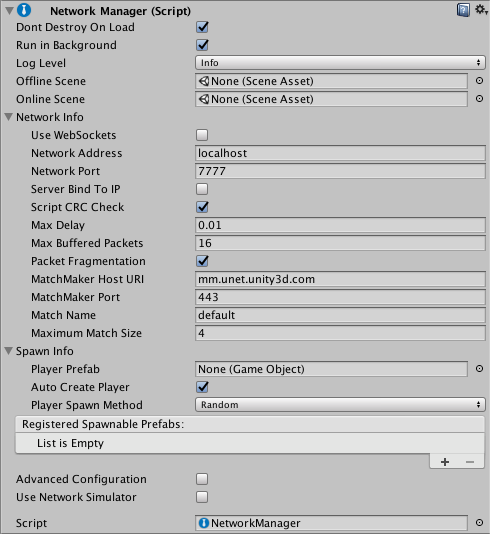 It provides an interface in the Editor for you to configure the network, the Prefabs you use for spawning GameObjects, and the Scenes you use for different game states. For more details on implementing the Network Manager in your game, see documentation on Using the Network Manager.